Since his early days as front man of Calle 13, the irreverent Puerto Rican hip-hop duo, Residente has never shied away from politics. “As an artist, I feel a responsibility to speak up about what affects me and what surrounds me,” he once said. He has launched attacks on everything from exploitation in the music industry to colonialism in Puerto Rico. He’s also collaborated on tracks with Julian Assange, Eduardo Galeano, and Rubén Blades, and has partnered with UNICEF and Amnesty International. In 2015, he was awarded the Nobel Peace Summit Award for his commitment to social justice and international human rights. Despite his embrace of controversy, Residente—born René Pérez Joglar—has enjoyed unrivaled success. Calle 13 has won 22 Latin Grammys—more than any other musical artist ever—and raked in hundreds of millions of views on YouTube. 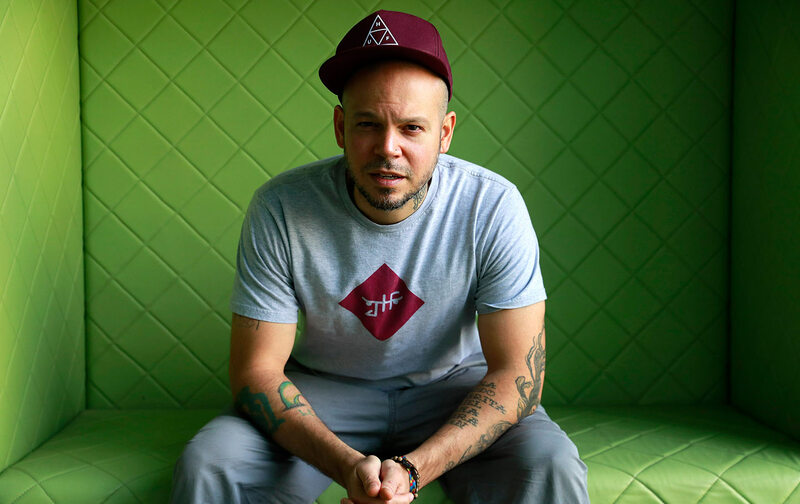 Pérez’s latest solo project, his self-titled global music album Residente, won best urban music album and was nominated for album of the year in the 2017 Latin Grammy Awards. I spoke to Pérez about colonialism, Bernie Sanders, and the path to recovery after Hurricane Maria. This interview has been edited, condensed, and translated from Spanish. Miguel Salazar: I want to talk to you about Puerto Rico’s colonial status. You’ve always been very vocal in your rejection of the fiscal control board and the austerity measures imposed on the island, which have become even more untenable now. What’s the best way to move forward in Puerto Rico, and what would you do as governor? Residente: The first thing I’d do as governor would be to restore the island’s sense of pride and self-esteem. The United States has no respect for our country, and that has to be fixed—that’s the first thing you would do in any kind of negotiation. I can’t sit down to try to negotiate with a record label without any confidence or bargaining power. If you don’t have that, how the hell are you going to negotiate? So how can that be recovered? For starters, by not paying the debt. Not because of bad will, but rather because you have to take a detailed account of all the tangible and intangible costs. The intangibles are huge. It’s like the value of a creative director in a company. “What do they do?” Well, they invent ideas. But how do you pay them for each idea? It’s something intangible, floating, but it’s valuable, and sometimes it can influence an entire company. In this case, the intangibles are all of the destruction that the United States has subjected the island to. One example is the sense of dependency they’ve created in us for the last century. They’ve spent more than a hundred years making us feel this way, starting from the time we’re in school. That’s a permanent damage, one that many people don’t even know is within them—they don’t recognize it. And that has a value of, let’s say, 100 million dollars. And you can go on like that, placing a value on all the intangibles, until finally you come to the end and you say: “Well, this is what we owe you? I think it is you who owes us—for the ecological harm you’ve done, for the bombing of [David] Sanes in Vieques, for all of the assassinations, for the Ponce massacre.” You can name and tally up every assassination committed by the US government, the CIA, et cetera, to this day. And when they say, “Pay up” or “Let’s talk about the debt,” you hand them that invoice. Then you’re showing them that you have pride, you have honor, and you’re restoring it to Puerto Rico. You’re saying, “I’m not going to pay this.” That’s a good start. If we don’t have pride and courage, if we don’t have the balls to stand up to the government and say, “Look, this is wrong, and what you have done to us throughout history is wrong,” we’re not getting anywhere. MS: The liberation of Oscar López Rivera was a meaningful victory for the independence movement, but that movement still lacks broader support on the island. What obstacles do you see for the growth of the independence movement? R: I think there’s an education problem in Puerto Rico, a problem with really understanding what independence entails. My documentary, Residente, deals with that education problem: the fact that we don’t understand what each party represents, what it means to be independent, what it means to be a state. We understand it in a very naive way, very superficially: “A state is a state, part of the United States; a colony is what we are now. Being independent is being communist or socialist, like Cuba and Venezuela.” It’s very superficial and completely illogical. Independence has historically been called for by the left, but you can be an independentista and be on the right. The day the right begins to back the independence movement, that will show that people truly understand. I’m not saying I want to fill the movement up with whoever. I just want independence for Puerto Rico, and I don’t care who joins or doesn’t right now, because we’ll deal with which political system we want later. For now, what’s important is to have a country—a country with its pride restored, with a single flag, with its own anthem, its own belongings; ruler of its own possessions and its own decisions. MS: In your music, you often cover social issues and other heavy subjects, but you also have lighter, more digestible tracks. How important is maintaining that balance for you? R: It’s super important, because if you disconnect from the masses, it gets complicated; people stop hearing your ideas. My job is not to sing to people who already understand and agree with me, it is exactly the opposite—it’s to reach those who don’t understand or who might not agree right out of the gate. That’s why balance is so important, to make sure you’re doing the work to reach people who aren’t used to hearing that kind of message. People who totally get my message enjoy “Atrévete-Te-Te,” but it’s also popular with people who might not listen to tracks like “Latinoamérica.” And “Latinoamérica” reached those people. There is a large group of people who began with “Atrévete” and have been evolving and growing with me. It has been a process of evolution; as I was growing, they were growing. That is my work, because it would be too easy to just create something entirely conceptual. MS: There has been a concerted effort by the Trump administration to criminalize and deport immigrants living in this country by ending programs such as DACA [Deferred Action for Childhood Arrivals]. What message would you send undocumented Latinos here in the United States? R: It’s very complicated, because, unfortunately, if they themselves protest, then they could be arrested and deported. So Latin Americans who do have visas should protest and never stop protesting, uniting against what is a total anti-Latino repression. There is no other option—we have to try to bring the issue forward, try to unify. But it’s also important to keep calm, so they can’t just say that all Latin Americans are all violent. We have to maintain our cool and protest nonviolently. I also think some Latin Americans—many, even—come for important reasons, but with a basic mentality of “This is the country of golden dreams,” and end up working somewhere that is not their dream and is not what they expected. So it’s important that Latinos who migrate here have a good understanding of what has brought them to this country. For example, I think all of Central America has the authority to come here, because the US messed with Central America so much in the ’70s and ’80s and provoked many of the current situations that we have now. Like the Mara 13 and 18 gangs—they are the children of war. This is not to blindly place the entire blame on the United States; but rather to point out that they bear some responsibility. They trained people to be assassins and to kill guerrillas; they created the paramilitaries who, after the war, were left without work and had children, many of whom became gang members. This is not to just throw blame at someone, but to say that Latinos need to understand what has brought them here. This isn’t a war cry, but a call to consciousness. If you come here like so many people do, begging for forgiveness all the time, you don’t have the attitude you need—either to obtain citizenship or to protest when these things happen. MS: What is your relationship with Bernie Sanders like? Would you endorse him if he were to run again for president in 2020? R: I would endorse him if he ran again, because he’s the candidate who has demonstrated a much more convincing interest in Puerto Rico than anyone else. The rest might show some interest; some won’t show any, but others will for the elections at least. Bernie, regardless of whether it’s to win votes or not, has shown a much more comprehensive investment. He’s better informed, and that gives me a little more sense of security than I feel with the others. I’d vote for him. As for our relationship, it’s friendly. He’s a cool guy. He’s the kind of person who will make time for you, and that is valuable. He took the time to see us in his office for Oscar López. He took real time, and no one does that. No one, not any senator or any candidate would take those 20 minutes, but he did. That says a lot. He didn’t even need to do it—he had already lost the primary. Hillary wouldn’t have taken that time, no way. She didn’t even advocate for [Oscar López], she said she didn’t want to get involved with that. So that tells you that [Bernie] is a conscious person, and what I know of him is that he takes the time to listen and understand. Every time I’ve seen him, he has shown himself to be a person conscious of what is happening in Latin America, in Puerto Rico, and in the world. MS: It’ll likely take years for Puerto Rico to fully recover from Hurricane Maria. You’ve been back to the island recently and have been critical of FEMA and the federal government’s response to the disaster. How has the Trump administration failed Puerto Rico and how can the island effectively recuperate? 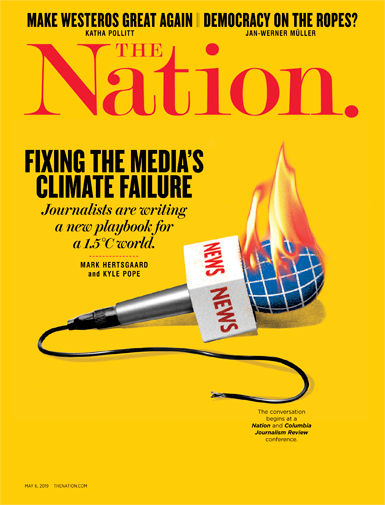 R: First, I think that what’s going on in Puerto Rico—the failure—would have been the same whether we had Trump or Hillary or Obama as president. All of them would have failed equally, because no US president in history has really cared about our situation. The fact that Trump is president now has helped, because Puerto Rico has become a charity case after the rude and insensitive way he treated us: throwing paper towels at people, making stupid comments about Puerto Rico, picking a fight with our mayor. All of that has served as a megaphone so that what’s been happening here is heard around the world. I think that if Hillary were president, since she’s politically correct, she would’ve come to Puerto Rico, she would’ve snapped a photo with people, would have met with a few people, but in the end would have done the same. Let’s not forget that Obama visited once for four hours, left with a million dollars, and never came back or said anything. So I don’t think that the Trump administration would have been the only one to fail. The United States is just not interested in Puerto Rico. I think Puerto Rico is recovering, but it’s more of a psychological than economic recovery as people begin to realize that our colonial status isn’t in our best interest. Yesterday, I was talking with some young guys outside of a hotel and they all felt the same, they never thought Puerto Rico would end up where it is now. They always thought that the United States was there to help, because whenever there was a war, Puerto Ricans would come out without hesitation and join the army, et cetera. That was an interesting conversation, because a year ago, it wouldn’t have happened. So there’s this awareness growing on the island right now at 10 times the speed as before, and that’s promising for us, because we have to improve internally before we can recover economically. Our self-esteem has to grow and we have to feel like we can do things for ourselves—that’s something that they’ve tried to take out of our system. That’s the recovery that’s going on right now. The people who lived on a cloud, thinking that being a colony was better, are realizing that it’s not, and that we need a new alternative.